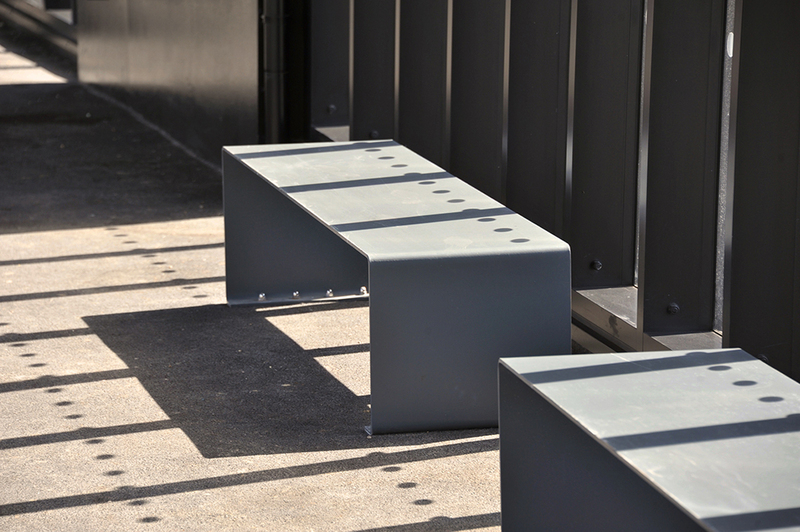 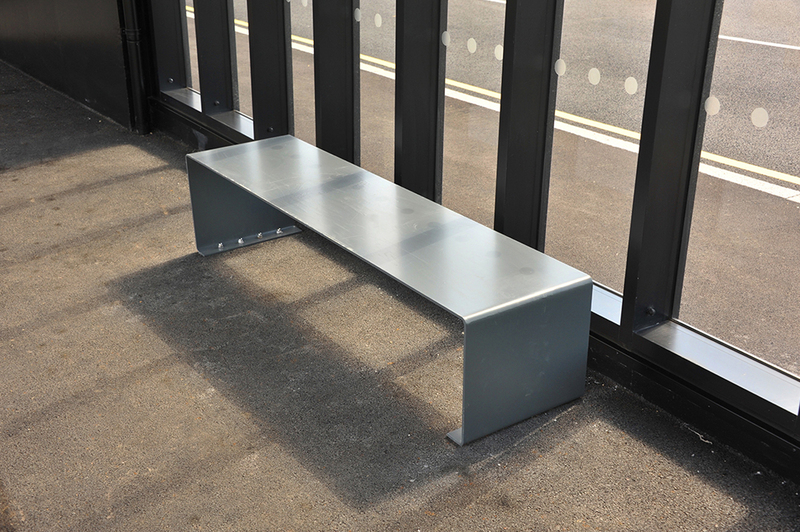 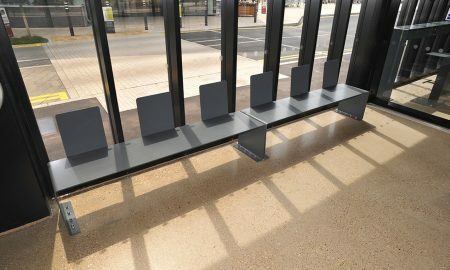 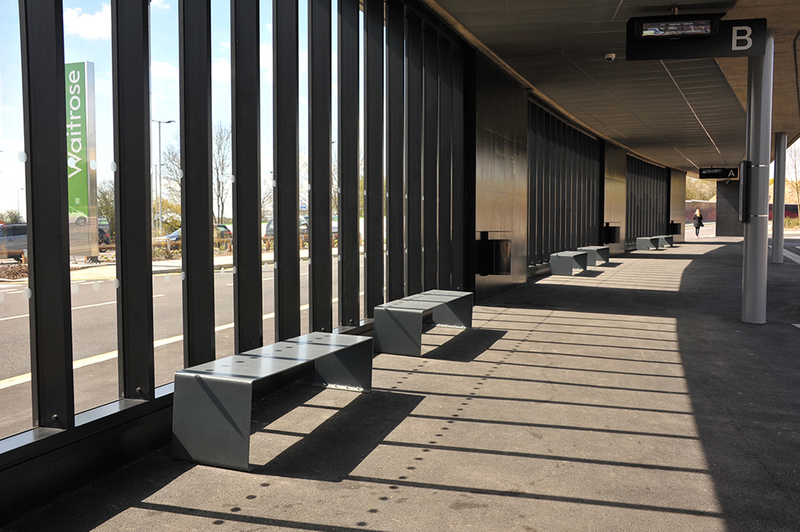 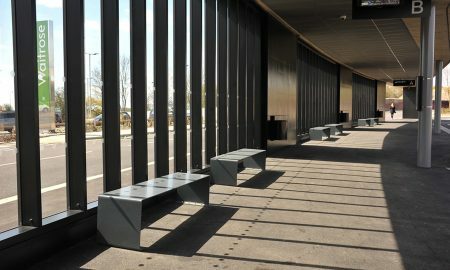 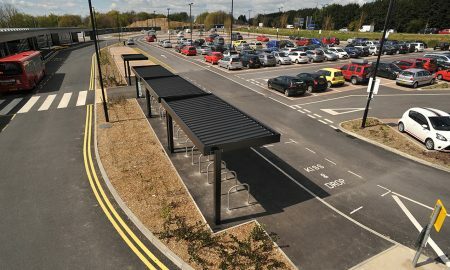 Broxap were asked by Willmott Dixon Construction to provide elements of external furniture to this prestigious new Park & Ride development at High Wycombe. 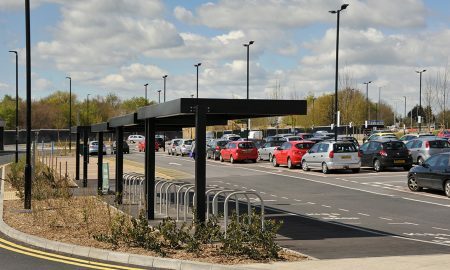 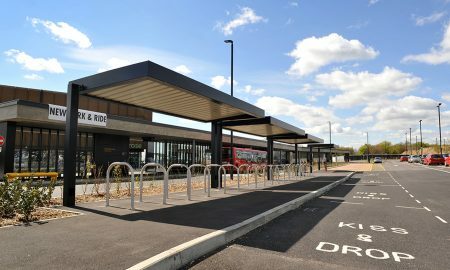 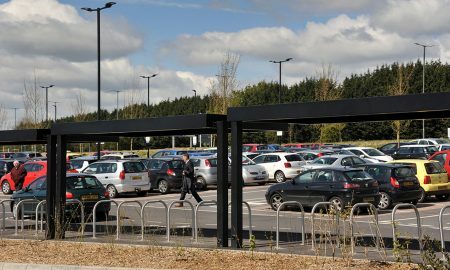 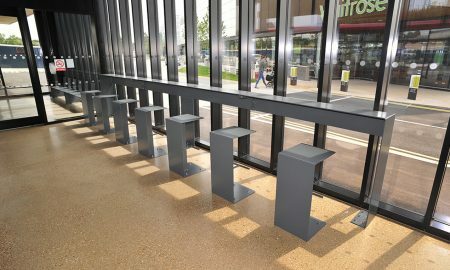 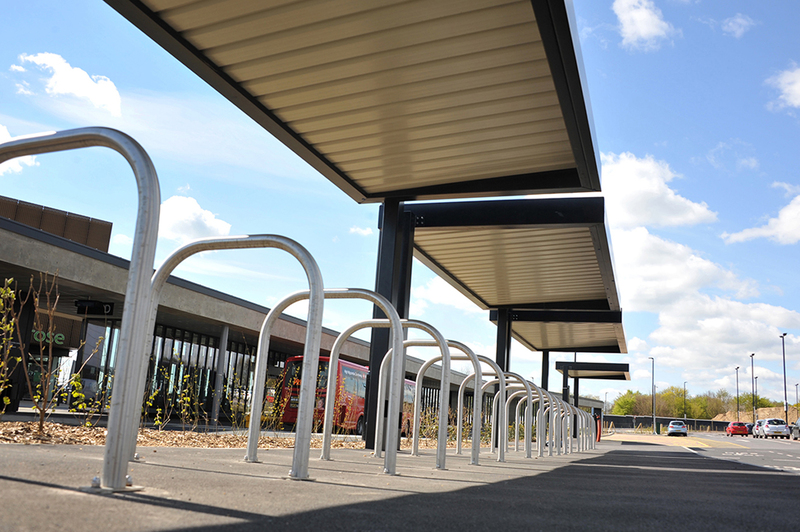 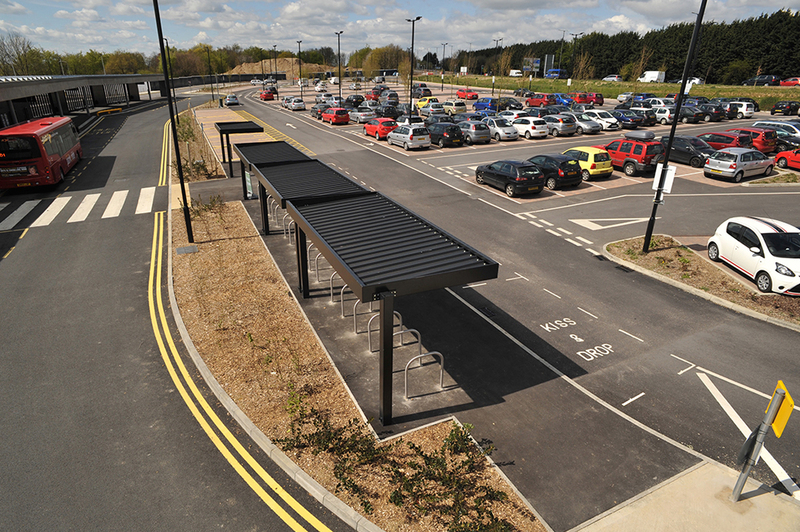 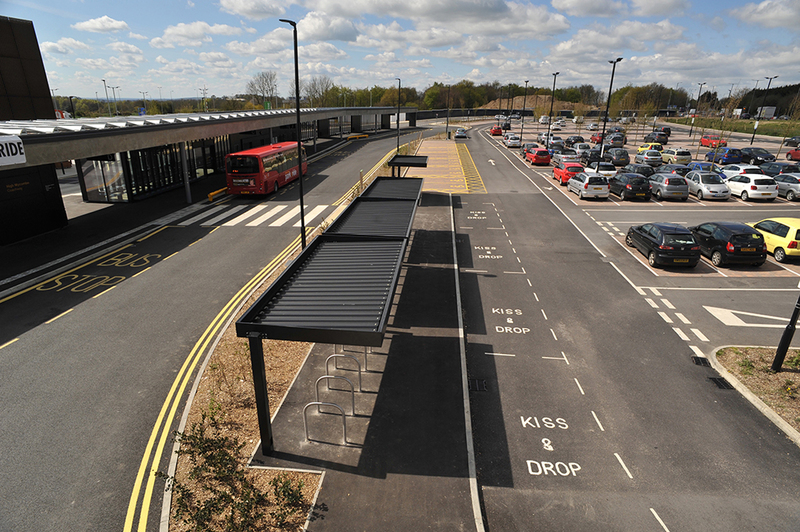 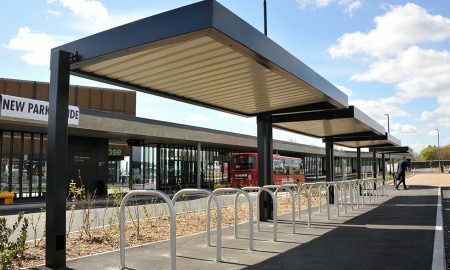 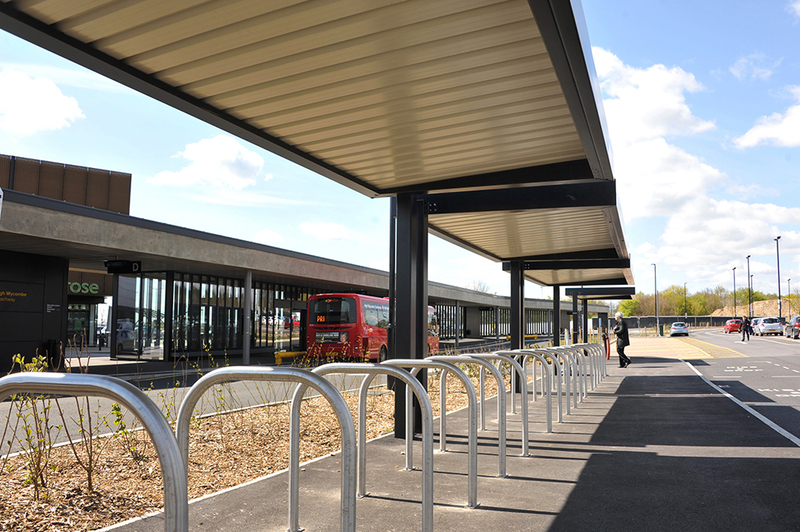 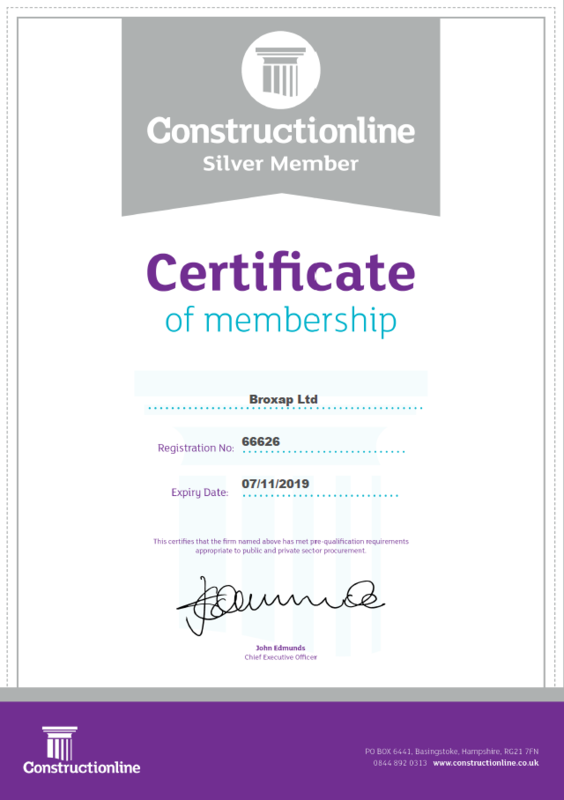 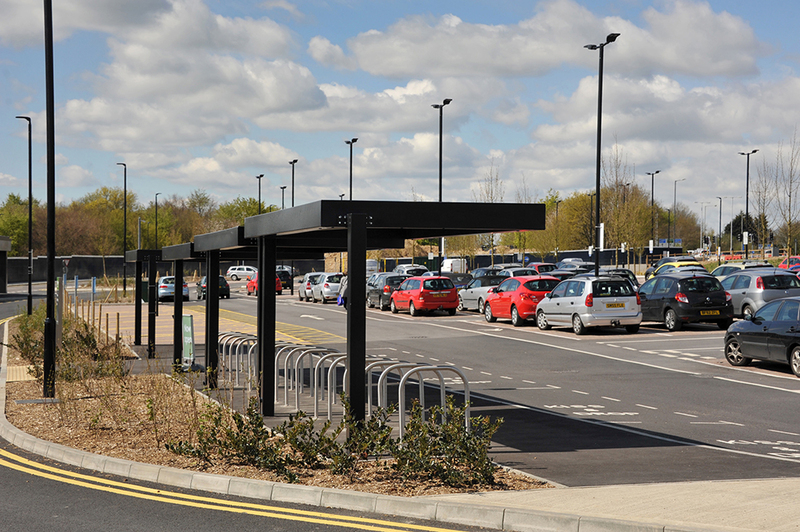 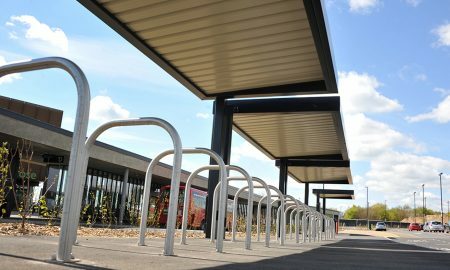 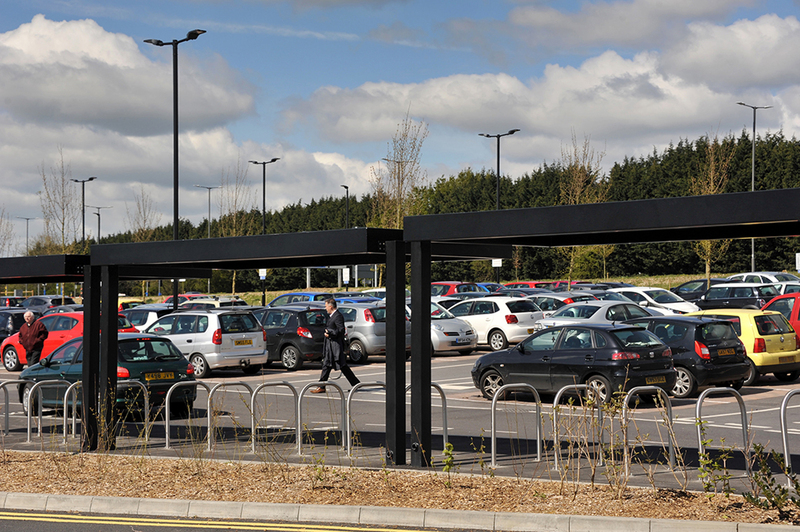 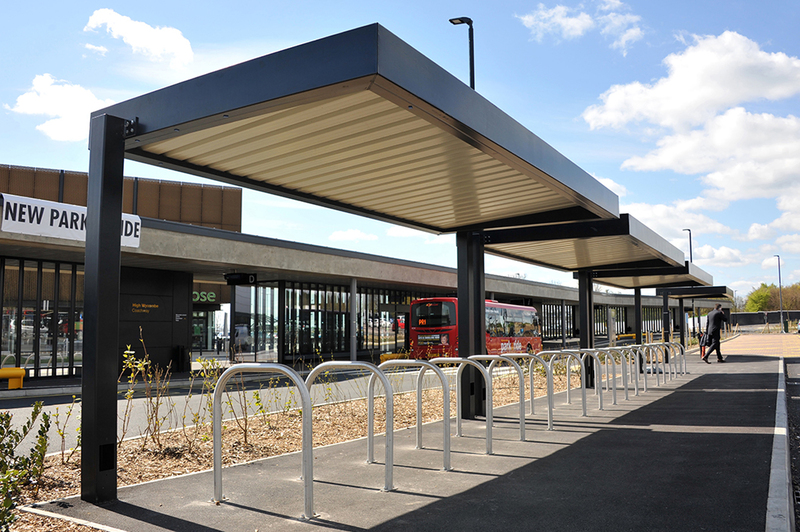 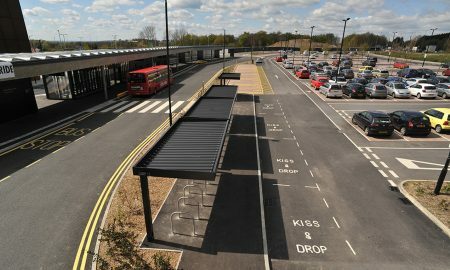 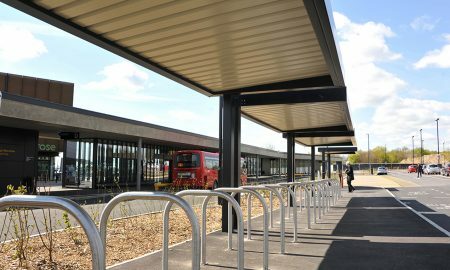 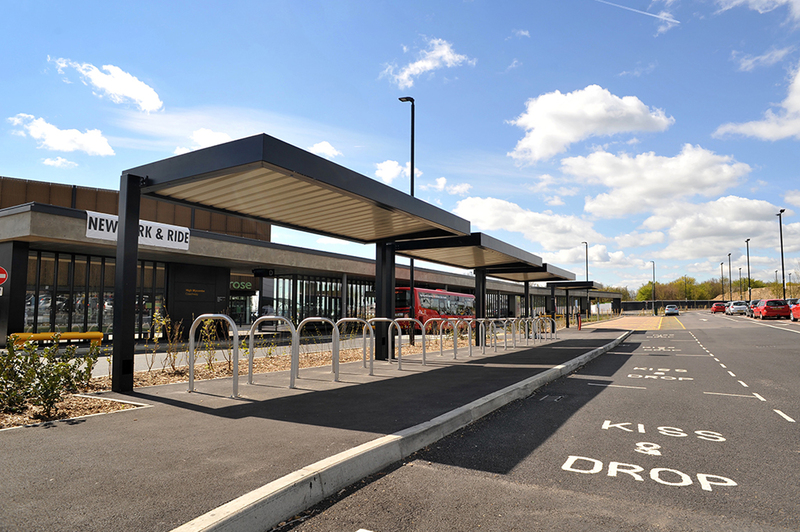 To the exterior there was the necessity to provide covered cycle parking at the PUDO (pick up and drop off) points, Broxap provided a series of Blox Cycle Canopies with stainless steel Sheffield Cycle Stands beneath them. 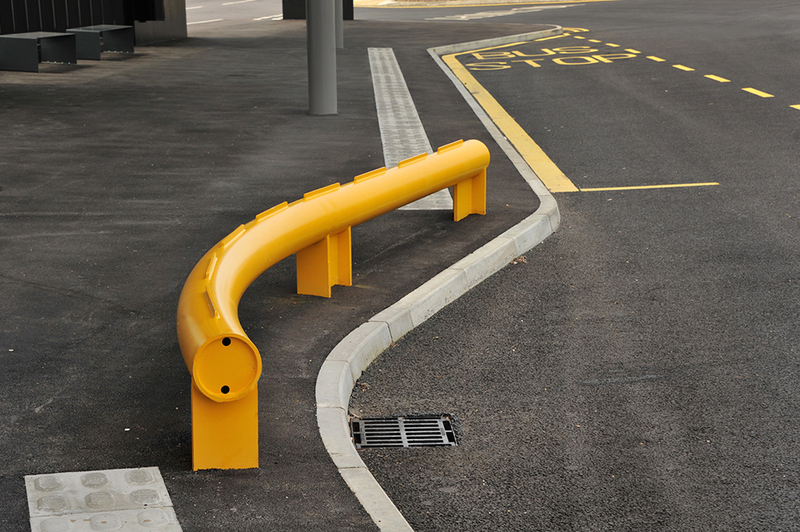 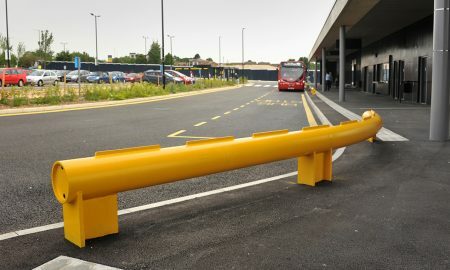 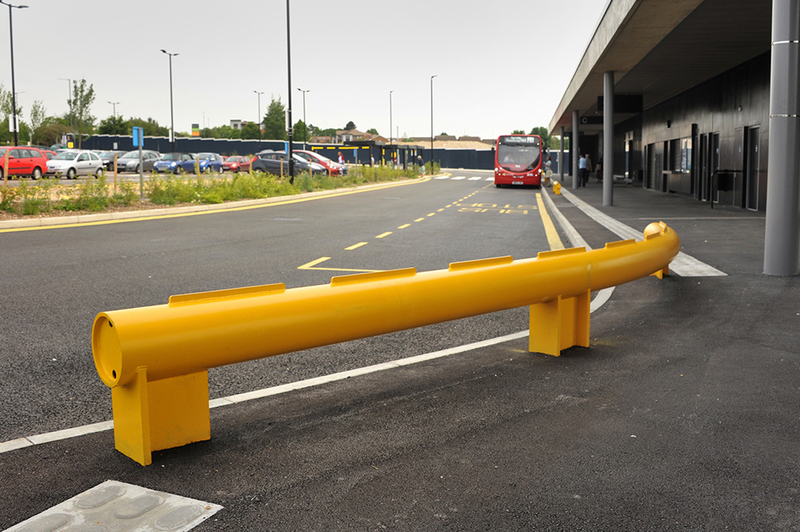 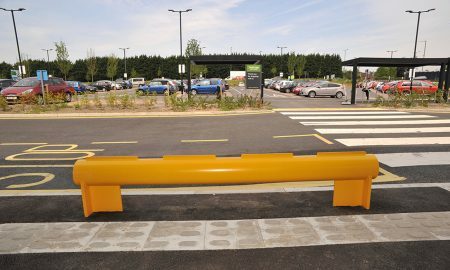 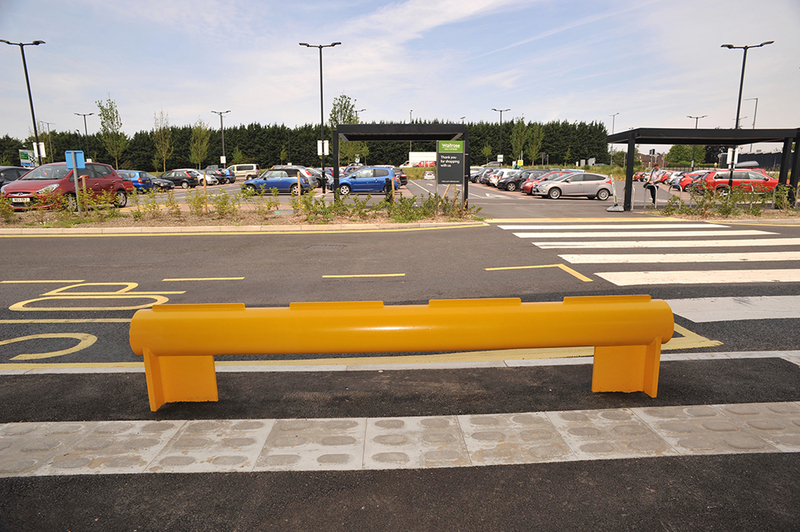 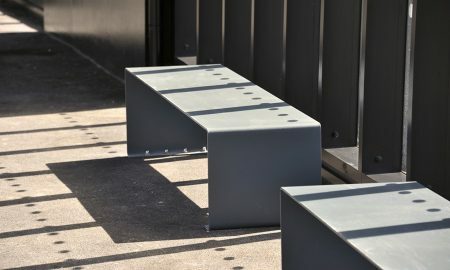 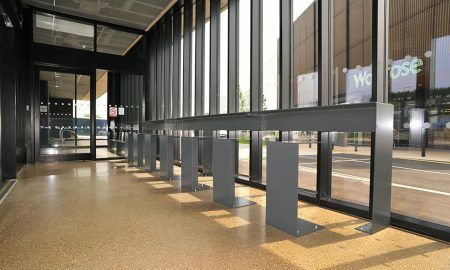 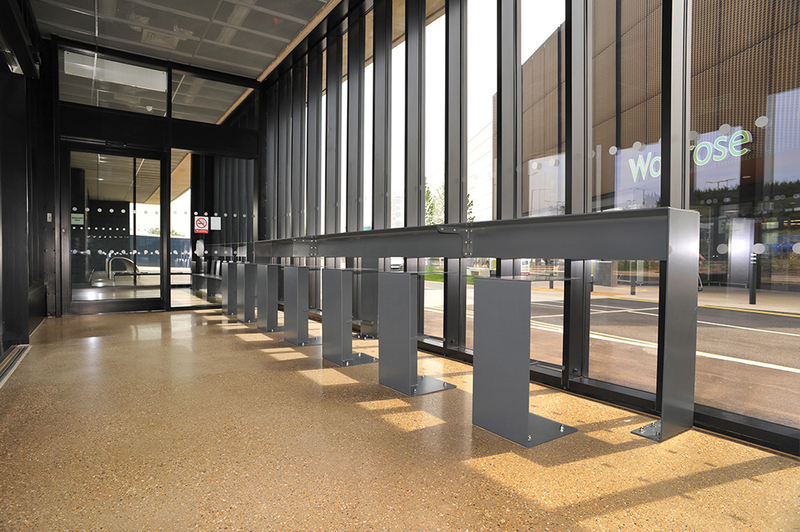 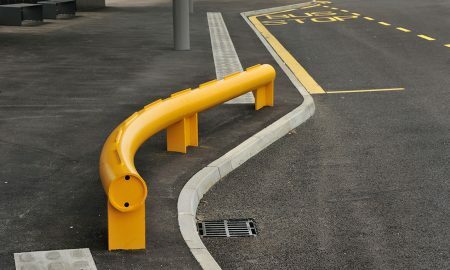 To the perimeter of the terminus building there was a requirement for a heavy duty vehicle barrier, this was to be positioned on a curved kerbside, so Broxap had to produce a bespoke heavy duty curved steel barrier which was powder coated yellow for high visibility. 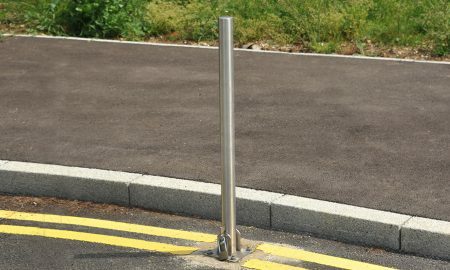 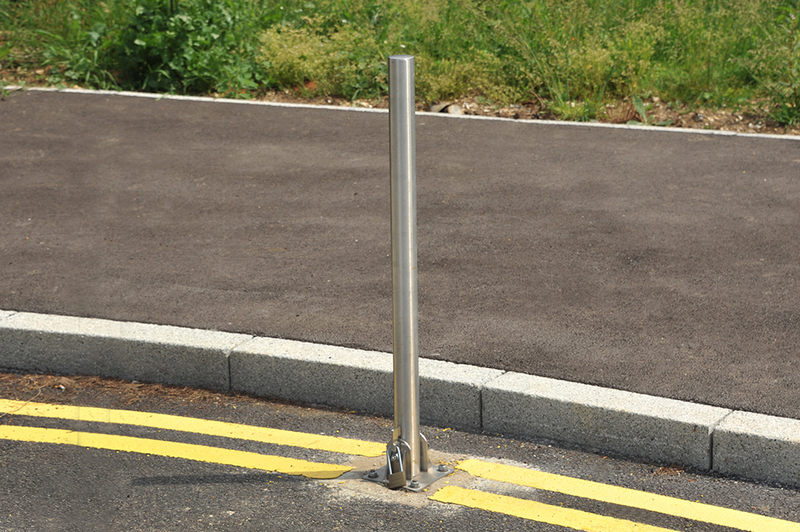 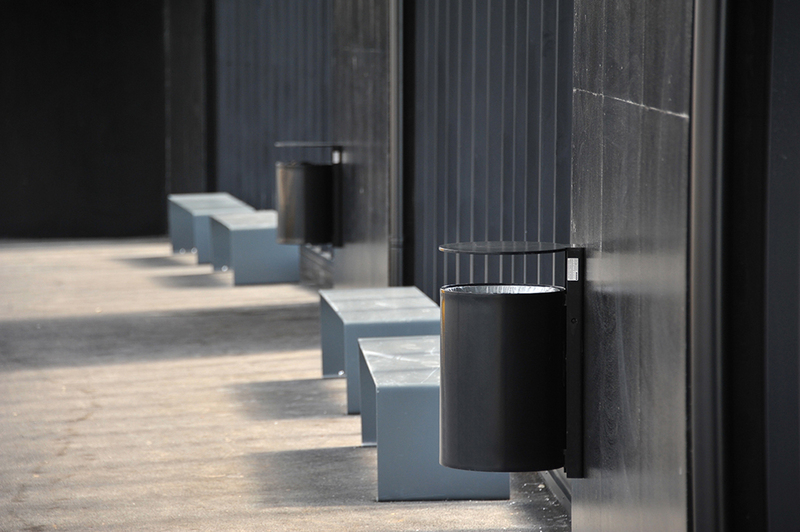 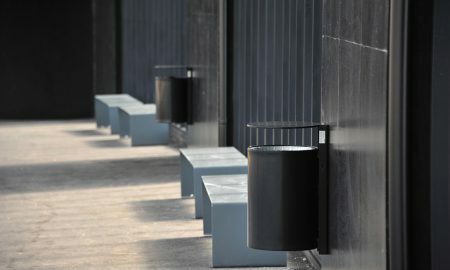 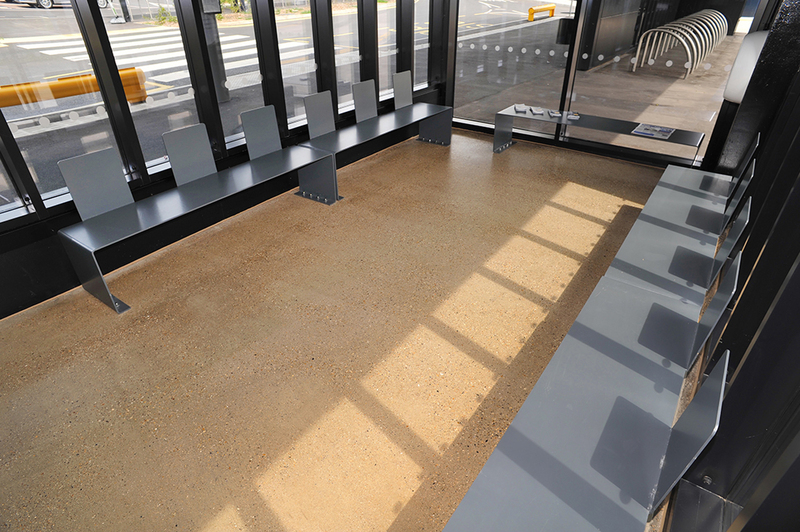 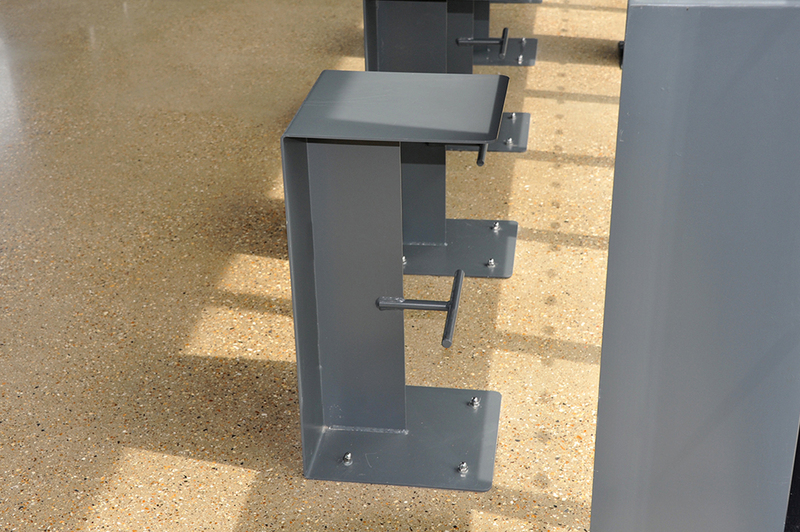 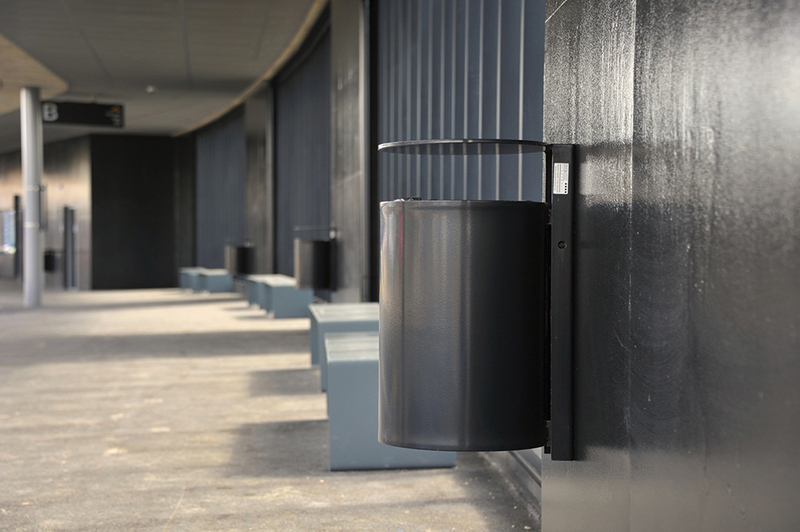 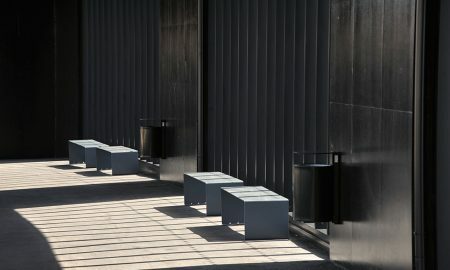 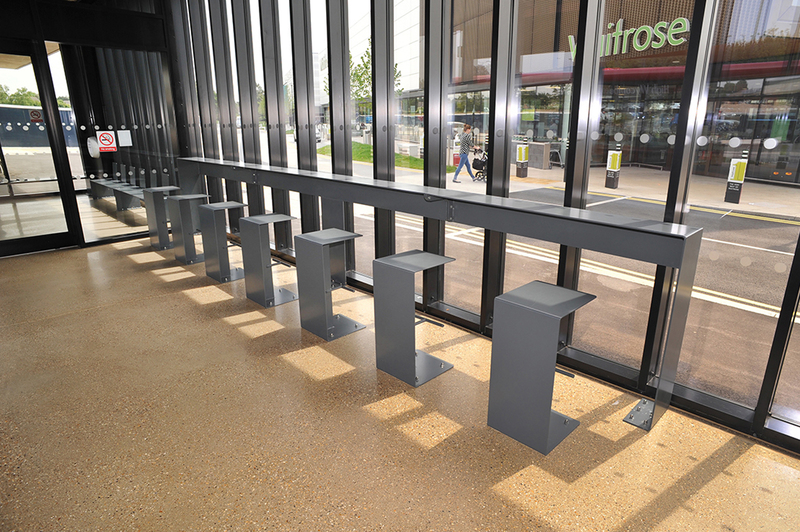 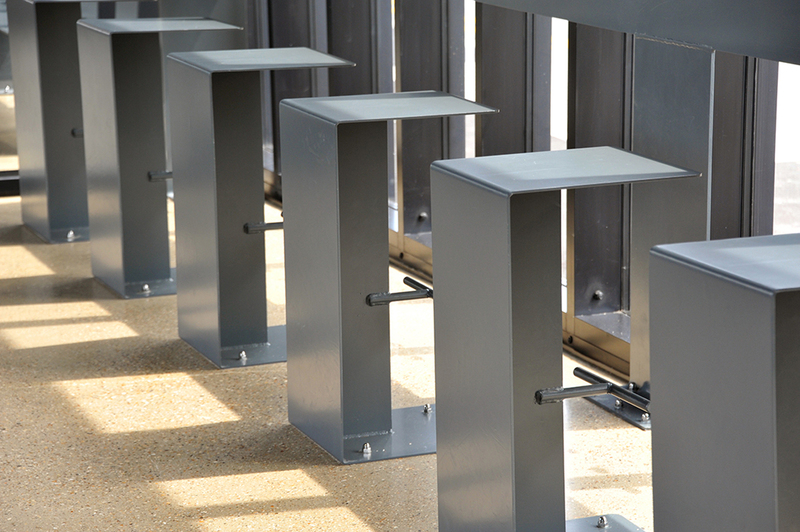 Stainless steel fold down access bollards were also installed at various points on the outer perimeter. 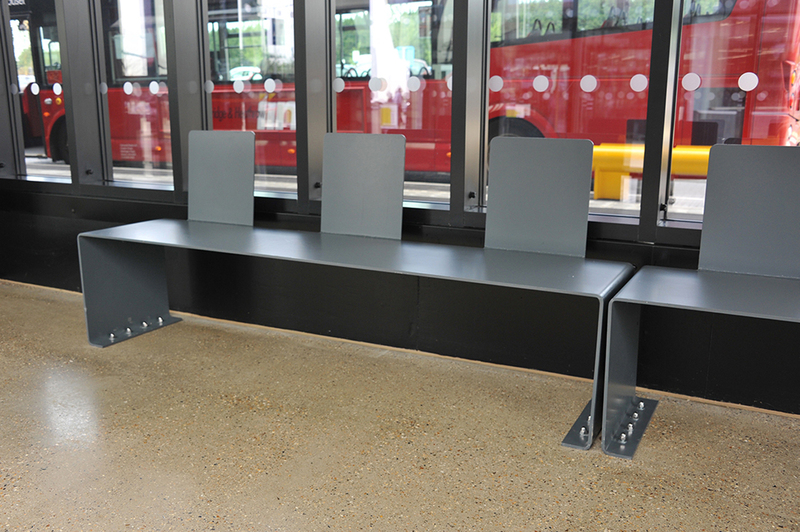 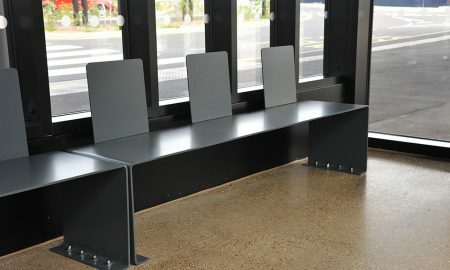 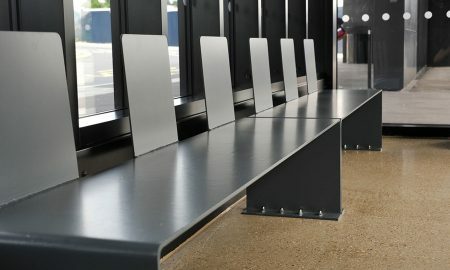 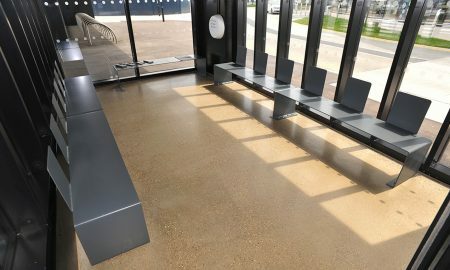 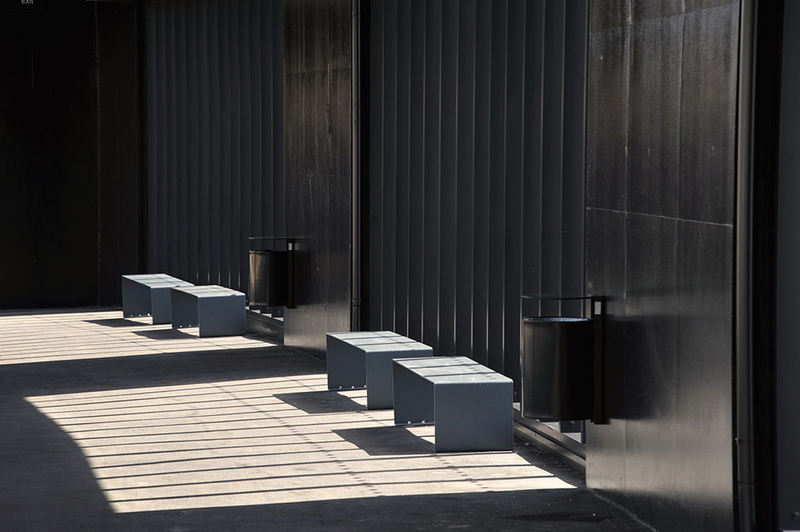 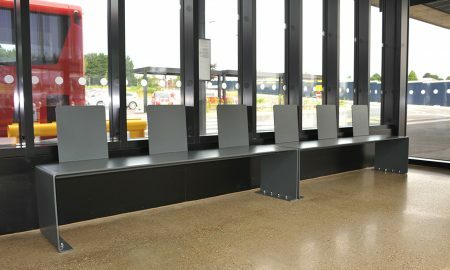 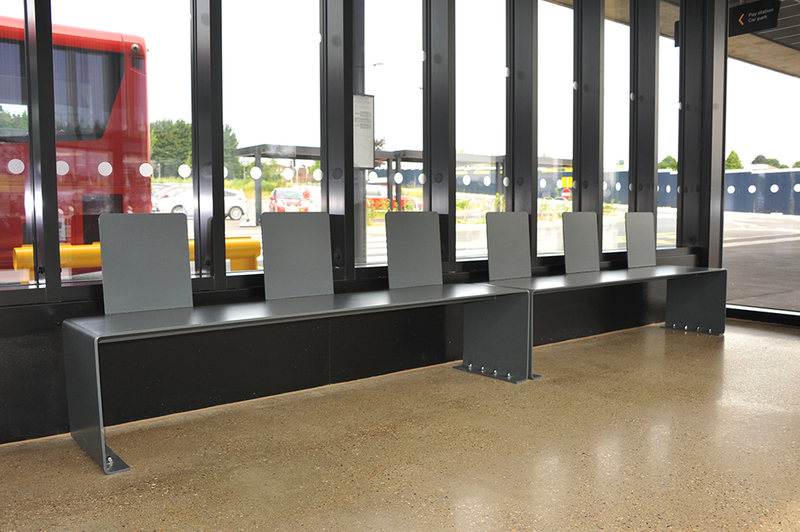 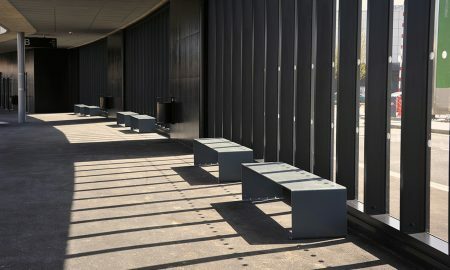 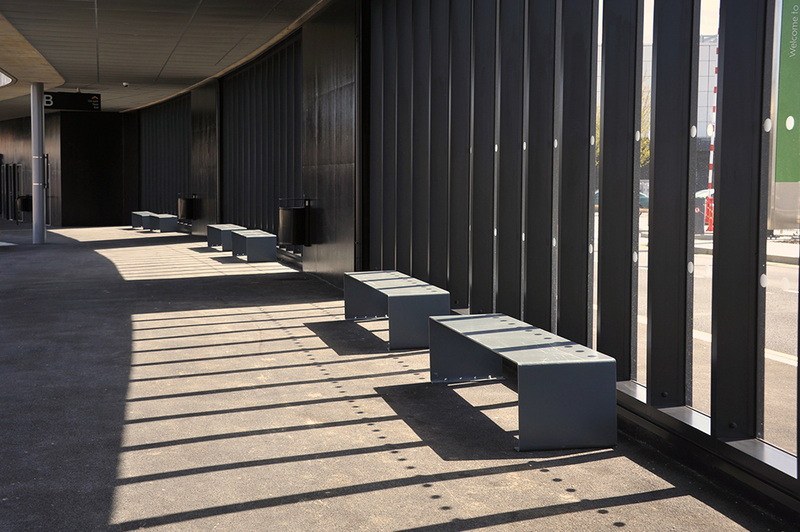 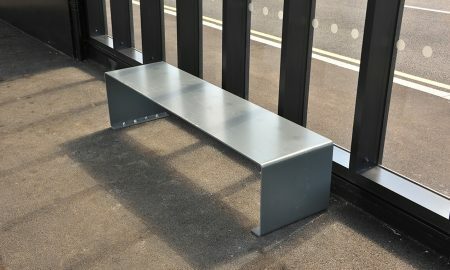 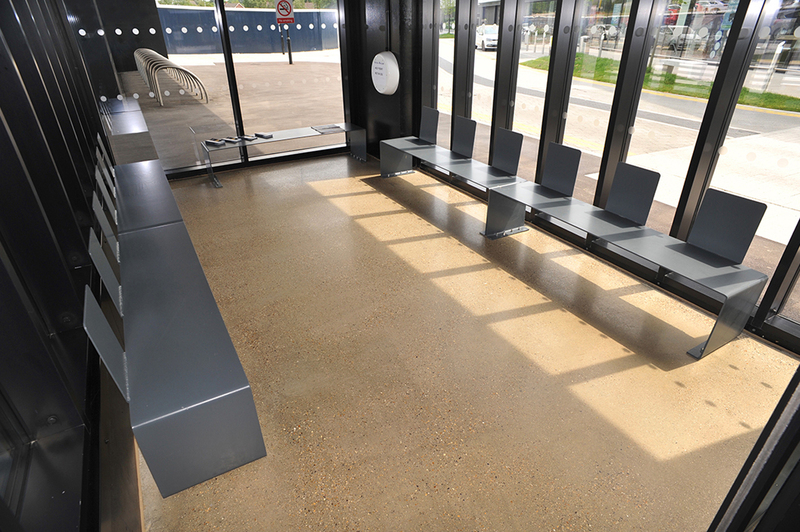 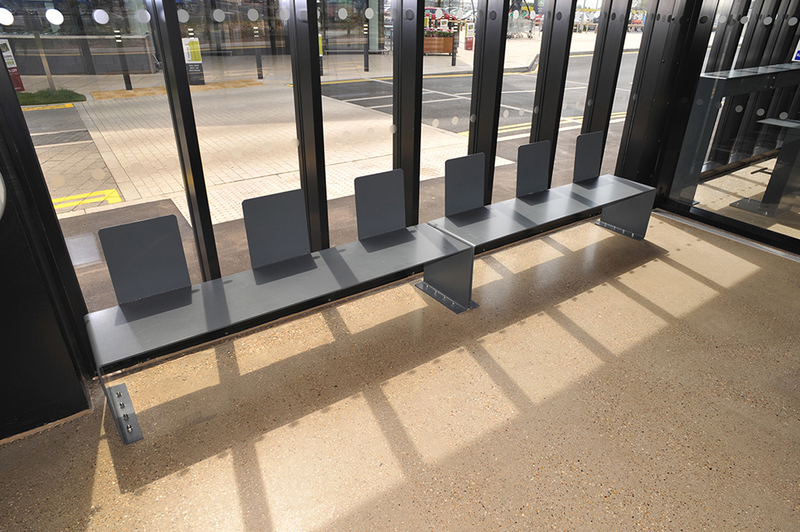 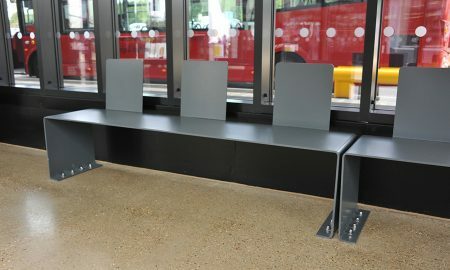 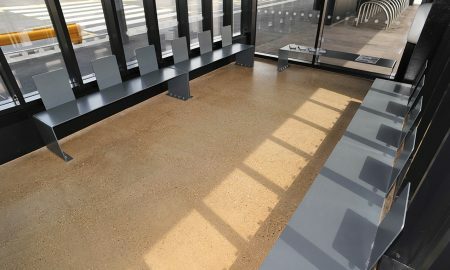 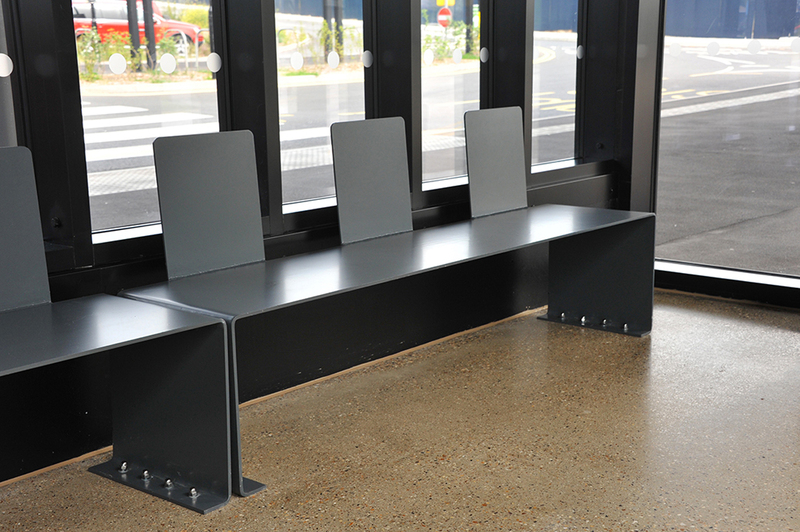 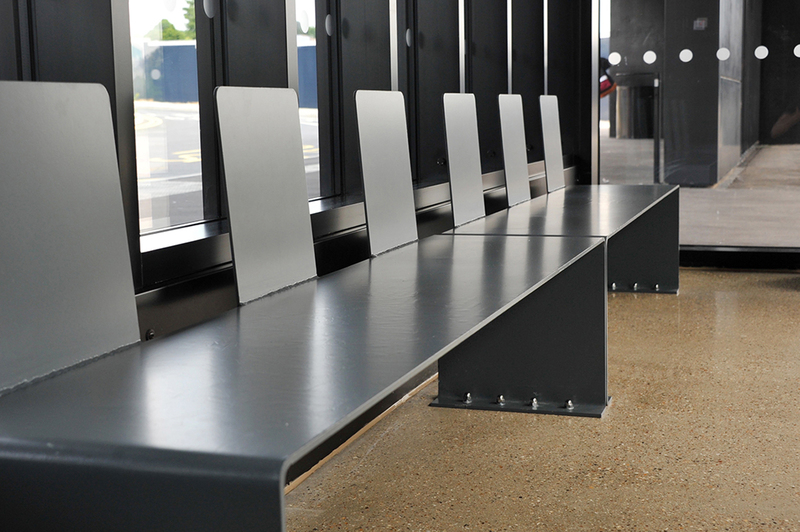 To the inside of the Terminus building itself Broxap manufactured a range of heavy duty vandal resistant contemporary waiting room furniture, this included sleek steel benches of minimal yet sturdy design and a ‘breakfast bar’ style arrangement which sits inside the window area, there was also an arrangement of benches with backrests in the same materials and style. 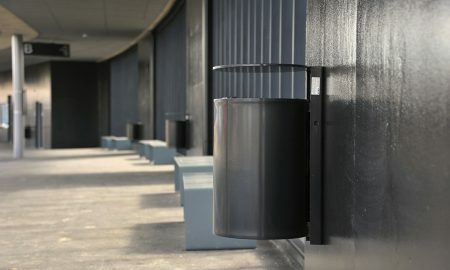 Broxap/Beck ‘Budworth’ litter bins were also fixed to the walls to provide easy deposit of litter and for easy emptying.